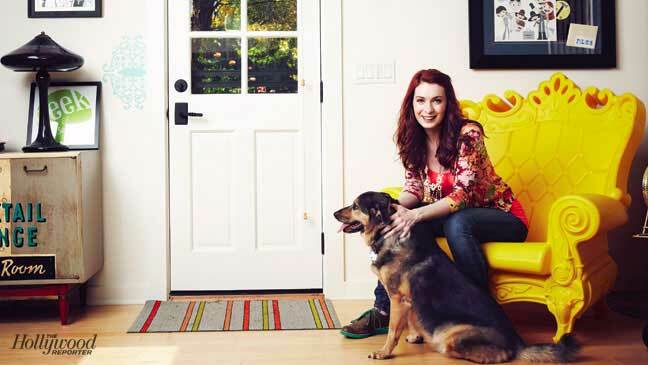 What exactly is a fab lab? “These spaces, known as Fabrication Labs (fab labs), Hackerspaces, and Tech Shops, share common goals: collaboration and ‘making.’ They exist to give their specific communities the ability to ‘make’ through sharing knowledge and skills. They provide the technology necessary to make almost anything. The Fayetteville Free Library is excited to announce the addition of a new public service—the FFL Fab Lab. “Community members will have the opportunity to use this digital media lab to create and edit videos, podcasts and use design software that might otherwise be out of reach. The Lab will also offer: Mac desktop, Podcasting station, 2 MakerBot 3D Printer Stations, Adobe Suite, Mac Creative Suite, a Green Screen Wall, Camcorders and digital cameras available for check out. Patrons can use the lab for two hour blocks of time when they present a valid library card. The Fayetteville Free Library is the first library in the United States to offer a free, public access Fab Lab. Earlier this month, it was reported that Apple would be launching a standalone podcast app in iOS 6. Instead of waiting for the next version of iOS, Apple posted the Podcast app on the App Store today. Podcasts app is the easiest way to discover, subscribe to and play your favorite podcasts on your iPhone, iPad, and iPod touch. Explore hundreds of thousands of free audio and video podcasts from the Podcasts Catalog, and play the most popular podcasts, organized for you by topic, with the all-new Top Stations feature. The list of fermented food in our lives is staggering: bread, coffee, pickles, beer, cheese, yogurt and soy sauce are all transformed at some point during their production process by microscopic organisms that extend their usefulness and enhance their flavors. The process of fermenting our food isn’t a new one: Evidence indicates that early civilizations were making wine and beer between 7,000 and 8,000 years ago — and bread even before that. But was exactly is fermentation? And how does it work? Those were the questions that fascinated Sandor Katz for years. Katz calls himself a “fermentation revivalist” and has spent the past decade teaching workshops around the country on the ancient practice of fermenting food. “If you walk into a gourmet food store and start thinking about the nature of the foods that we elevate on the gourmet pedestal, almost all of them are the products of fermentation,” he tells Fresh Air‘s Terry Gross. The book – The Art of Fermentation. British Museum Director Neil MacGregor presents Shakespeare’s Restless World, a new series for Radio 4. The 20-part series looks at the world through the eyes of Shakespeare’s audience by exploring objects from that turbulent period. Examining these objects, Neil discusses how Elizabethan playgoers understood and made sense of the unstable and rapidly changing world in which they lived. Neil asks what the plays would have meant to the public when they were first performed. 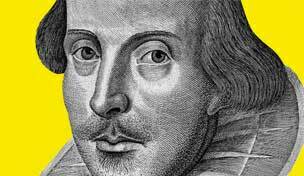 He uses carefully selected objects to explore the great issues of the day that preoccupied the public and helped shape the works, and considers what they can reveal about the concerns and beliefs of Shakespearean England. Contributing to the programmes will be Shakespeare scholars, historians and experts on witchcraft and warfare, fencing and food, luxury trade and many other topics. They discuss the issues these objects raise – everything from exploration and discovery to violence, entertainment and the plague. 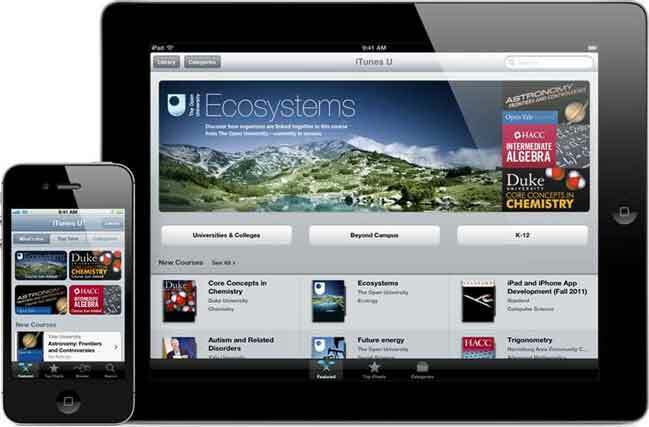 This month both Stanford and Open University reached 50 million downloads of their iTunes U content, a major milestone for online education. Altogether, the service from Apple reached 700 million downloads in January 2012. In subjects ranging from human behavior to linguistics, Stanford lectures…have been downloaded a whopping 50 million times. The milestone, reached March 14, comes nearly seven years after Stanford became the first university to offer public access to campus lectures, concerts and courses through iTunes U. The most popular offerings are in engineering, where students can learn to build an iOS app or study quantum physics under one of the fathers of string theory, Leonard Susskind. Open University is the first in Europe to reach more than one million active subscriptions through the iTunes U app since it launched back on 19 January. The University’s 52 courses add to the University’s extensive material on iTunes U which has now seen more than 50 million international downloads, with over 40,000 new downloads each day. Our most popular course on the iTunes U iPad app The New Entrepreneurs has over 100,000 active subscribers, with another six of our courses having over 50,000 subscribers each. Last week we released a new course Moons: An Introduction which incorporates the University’s first Multi-Touch iBook Moon Rocks: An Introduction to the Geology of the Moon, created using Apple’s iBooks Author. A fascinating new podcast for travelers/adventurers talks about the Vivek Express which starts in the far North East of India and travels all the way to the southern tip. It has 52 stops, takes 83 hours, and travels over 4,200 kilometers. It is the 8th longest train in the world. The cost to ride is $50 and the perfect inexpensive way for Indians, and tourists, to see the huge country. Learn more about it from The Economist podcast on iTunes (6-minutes), or via the still-shot version below. 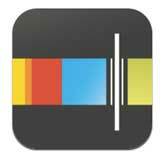 There is an awesome iPhone app I want to recommend to you called Stitcher Radio. The key feature of this app is the ability to subscribe to podcasts. Avid listeners know that iTunes offers subscriptions and automatic downloads, but the iPhone doesn’t. For years we have had to individually look up our favorite shows, every day or week, and wondered when Apple would implement this feature. Well, they haven’t and Stitcher is filling that gap. The app works by having you create stations of your favorite shows. Search for the show you like, hit the star button to favorite, and then add it to your station. I started with one massive station but recently broke that down into specialized sections (sports, finance, culture). Any new episode will be pulled in automatically, or you can manually do it by hitting the refresh button. A huge time saver for me because I really hate searching iTunes for the same shows over and over again. There are only a few misses with this app. One is the auto-play feature which only plays in one direction. You cannot set repeat or keep playing this artist (great for listening to older episodes) because it only goes forward to the next artist. The other miss is the lack of an ability to listen in order of release date. If you want to find and listen to the newest shows in your station you will have to do that manually. Regardless, this app is a great recommendation, I love it, and have listened to over 16 hours of podcasts on it! Also, check out iTunes best of 2011 Podcasts. 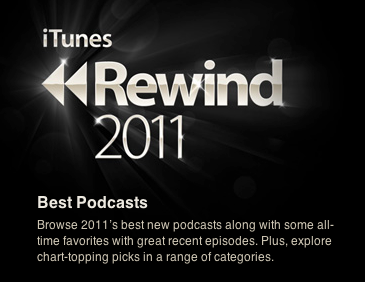 iTunes recently released their 2011 list in the form of iTunes Rewind which covers several categories, including podcasts. Unfortunately, it’s not available online, only in iTunes, so I pulled it out for us. U.S. demand for OPEC decreasing "extraordinarily fast"
OPEC Matters Less for U.S. But, global demand (China, India) for OPEC is increasing and with Saudi Arabia remaining the world’s largest producer we are still powerfully dependent on the Middle East. Major reasons for the change, in priority order: (1) decreasing U.S. oil demand, (2) increase in Canadian imports, & (3) increase in U.S. domestic oil production. Posted on December 14, 2011 Author robotchampionCategories defaultTags bloomberg, bloomberg surveillance, demand, demand destruction, oil, OPEC, podcast, podcasts, U.S. oil demandLeave a comment on U.S. demand for OPEC decreasing "extraordinarily fast"